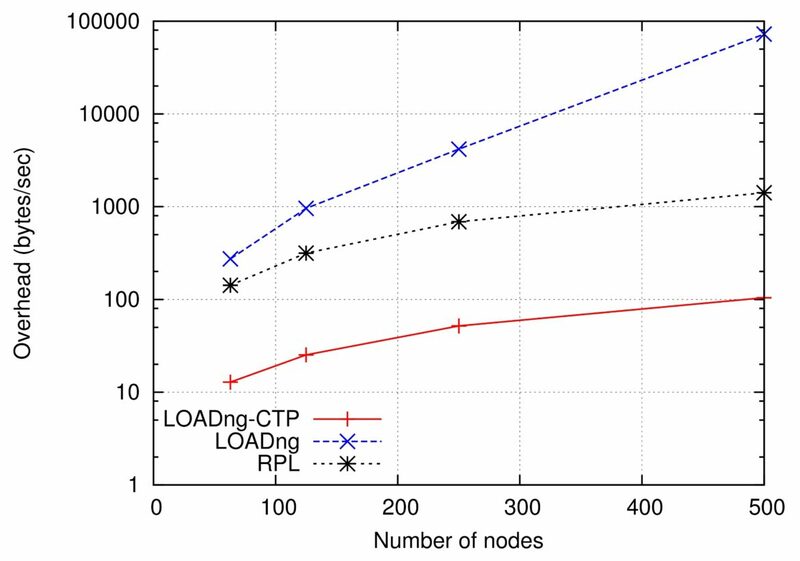 This paper proposes an extension to reactive routing protocol, for efficient construction of a collection tree for data acquisition in sensor networks. The Lightweight On-Demand Ad hoc Distance Vector Routing Protocol-Next Generation (LOADng) is a reactive distance vector protocol which is intended for use in mobile ad hoc networks and low-power and lossy networks to build paths between source-destination pairs. In 2013, ITU-T has ratified the recommendation G.9903 Amendment 1, which includes LOADng in a specific normative annex for routing protocol in smart grids. The extension uses the mechanisms from LOADng, imposes minimal overhead and complexity, and enables a deployment to efficiently support “sensor-to-root” traffic, avoiding complications of unidirectional links in the collection tree. The protocol complexity, security, and interoperability are examined in detail. The simulation results show that the extension can effectively improve the efficiency of data acquisition in the network.